Inspectors Go Paperless and Save a Lot of Green! There is a great emphasis these days on the need to "Go Green". One of the easiest ways is to reduce the use of paper in your inspection business. Everyone know that real estate transactions waste an enormous amount of paper. Inspector FX was designed from the ground up to be paperless. 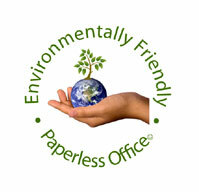 With Inspector FX you can also use our copyrighted "paperless office" symbol to promote your company's "Green" awareness. 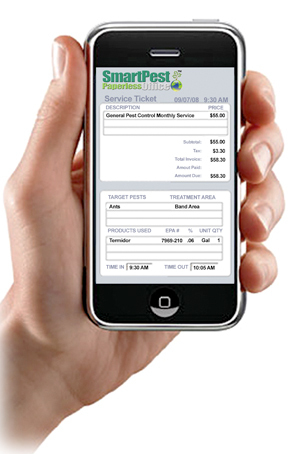 You will instantly save money by going paperless. Have you ever been on an inspection and had your best client call for a copy of a report or invoice from the closing table? With Inspector FX you can find the document and email it in seconds rather than needing to return to your office to search in a file drawer. It is estimated that the cost to print, bind and mail just one inspection report is around $10. If you perform 400 inspections per year that's a savings of $4,000 per year assuming you only need to create ONE copy! If you hand deliver your reports to the agent's office, that savings will increase dramatically, given the cost of fuel today. With orders, contacts and inspections all digitally stored in Inspector FX you can handle company growth and maintain consistent customer service. Quick PDF conversion allows you to send pre inspection agreements, reports, and invoices to clients in seconds. Referral agents are no longer willing to wait for you to return to the office to schedule an inspection or fax a copy of a report. If an agent asks if you can email a report and your answer is "No", then YOU ARE GOING OUT OF BUSINESS BUT JUST DON'T REALIZE IT YET! 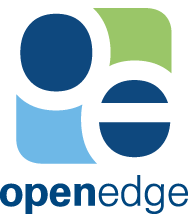 The ability to take new orders & send copies from the field means better service to your clients and more volume for you. You will spend less time & money on administrative work with a paperless office and Inspector FX was designed to save hundreds of labor hours per year creating reports. Office workers can dispatch inspection orders right to inspectors in the field via Inspector FX's built in synchronization features without using a single piece of paper. 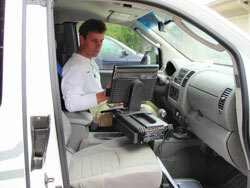 Inspectors in the field can send completed orders and inspections back to the office as well. If you fax or scan documents, consider how much time this takes. How often do you get a call asking to resend a fax? Can your photos be seen clearly? Customers can sign pre-inspection agreements on a tablet computer totally eliminating the need to maintain paper copies. With Inspector FX you will always have instant access to client information, orders, schedules and completed inspections saving you untold wasted hours each and every year. For additional information on the benefits of going paperless with Inspector FX give us a call at (888) 214-7702.